Dental crowns are a very common restoration and they have many different uses and functions. We can provide you with high-quality ceramic or porcelain crowns that look and function just like your natural teeth. If you have a cracked, chipped, or otherwise damaged tooth, a dental crown can be placed over the tooth to protect it from further harm, restore color and appearance, and allow you to use it as normal without discomfort. We also commonly use crowns to restore a tooth after a root canal has been performed. This protects the tooth structure and the treated area from further damage. When you have dental implants placed, a dental crown will need to be created to look like your natural teeth. This will cover the abutment piece of an implant and provide all the chewing functionality and aesthetic appearance you have been missing. o The target tooth is numbed with an anesthetic, and then filed down to assure a proper fit for the crown. o Next, impressions of the target tooth are taken to create a crown according to the impressions. o While the impressions are sent to the dental laboratory, a temporary crown is applied to the target tooth to be worn until the customary crown is created. o As soon as the customary crown is ready, you will come in to have the new crown applied to the target tooth. Now you can leave with a restored and natural looking smile. Crown and bridgework is a very reliable solution for major dental problems caused through accidents, diseases or wear and tear. Major problems can usually be corrected using these techniques. Material used in these repairs is either high-grade porcelain or porcelain bonded to noble metals. Where accidental damage has occurred, resulting in lost teeth, or where teeth have broken away through excessive wear, or as the result of old fillings breaking, dental crowns and/or dental bridges can be used as a long-term solution. If due to wear, please read about bruxism treatments. Many people have unexplained pain from filled back teeth, which is usually due to hairline cracks in the chewing part of the tooth. Placing crowns on these teeth relieves the pain and allows a return of full dental function for these teeth. In front teeth, older fillings can both weaken the teeth and cause “appearance” problems due to staining or chipping. Porcelain crowns and bridges are suitable in cases where porcelain veneers are not. In teeth with root canal fillings, crowns can prevent breakage and correct color changes to the tooth. WHAT ARE MY OPTIONS FOR DENTAL CROWNS? There are three different types of crowns available: metal, porcelain fused to metal (PFM), and full ceramic. Metal crowns are highly durable, but also highly visible. PFM crowns look attractive, but have a metal layer underneath the ceramic for added strength. 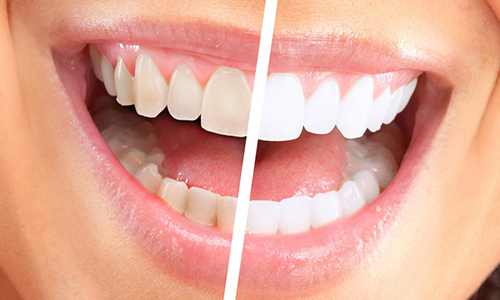 Fully ceramic crowns are made of advanced materials that are both very attractive and very durable. They can also be expensive. HOW DO I CARE FOR MY DENTAL CROWN? Most of the time when a dental crown fails, it’s not the crown’s fault, it’s the tooth under the crown that has problems. Gum disease can expose more of the damaged tooth, compromising the protection provided by the crown. Decay can develop around the crown. So it’s important to make sure you’re cleaning your teeth properly. Brush twice daily and floss carefully, especially around the crown. Make your regular checkups. Some dental crowns are stronger than natural teeth, but that doesn’t mean you should use your crown in ways that wouldn’t be appropriate for teeth, such as breaking ice, cracking nuts, or opening bottles. A dental crown is a restoration placed over the entire visible area of a damaged or aesthetically displeasing tooth. There are three types of crowns, each made of a different mix of materials. They can be gold, porcelain, or a mix of porcelain and metal. What conditions can crowns fix? Crowns can be used to cover and treat decaying teeth, and teeth that are gapped, chipped, discolored, misshapen, or otherwise damaged..
What are the major differences between the crown types? There are three different types of crowns that can be used to correct your damaged teeth: metal, porcelain attached to metal, and porcelain. All three types of crowns can repair your teeth, but all-porcelain crowns are the only kind that completely restores both the function and appearance of your teeth. During your initial consultation, we can examine your teeth and make a recommendation regarding crown type based on your specific needs and desires. What is the procedure for applying dental crowns? It’s generally a two step procedure. The first step is to prep the teeth involved and take a mold to send to our ceramist who will make your restoration. After taking the mold, a temporary crown will be made. Once the crown is made by our ceramist , we will get you back and make sure it fits properly then bond the permanent crown in place.